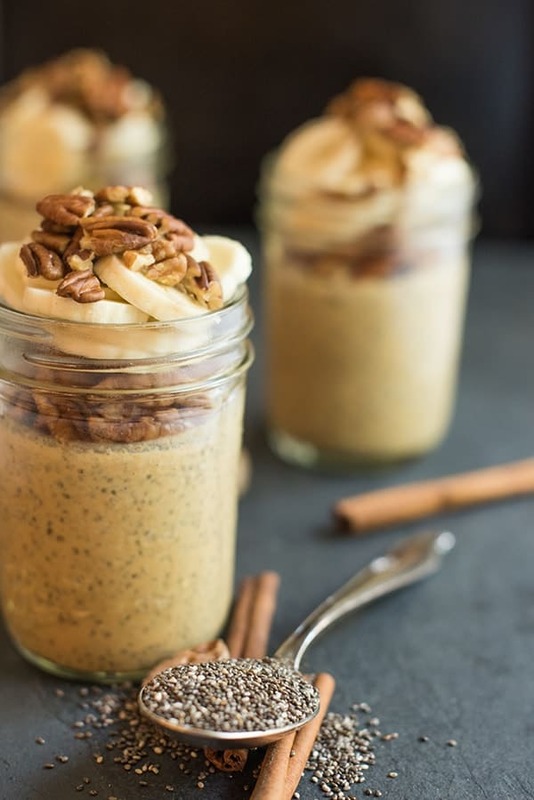 This healthy, make-ahead breakfast pudding is made with nutrient-rich chia seeds, creamy coconut milk and warm gingerbread spices. The holidays are upon us which means life is busy – in all the best of ways! 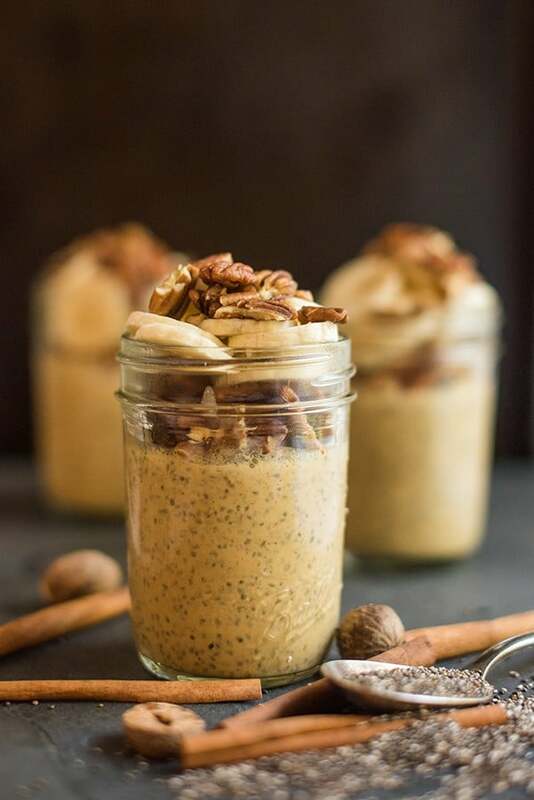 Whether you’re hosting guests in from out of town or simply need a healthy make-ahead breakfast for busy mornings, this Gingerbread Chia Seed Pudding is for you. If you’ve never tried chia pudding before, it reminds me a bit of tapioca pudding with more crunch. 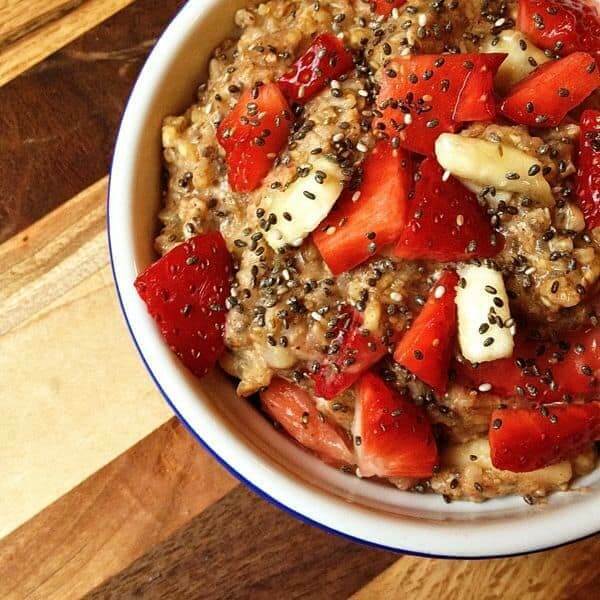 As the nutrient-dense chia seeds soak overnight in coconut milk, they expand and the pudding thickens. Scented with warm spices like cinnamon, cloves and ginger, then sweetened with molasses and maple syrup, each bite is reminiscent of a delicious gingerbread cookie – minus the butter and sugar. In the morning, I like to top mine with fresh fruit and crunchy pecans for added texture. Of course, feel free to get creative here. Walnuts, shredded coconut, almonds or flax seed would all be great toppings as well. Pro Tip: Get ahead and whip up a double batch when you have a little extra time. You’ll be so happy to have this hearty and nutritious vegan breakfast recipe waiting for you when you’re ready, all week long. In a medium bowl, whisk together coconut milk molasses, maple syrup and spices (cinnamon through salt). Add in the chia seeds and whisk again. Pour into individual cups or leave in bowl. Cover and refrigerate overnight. 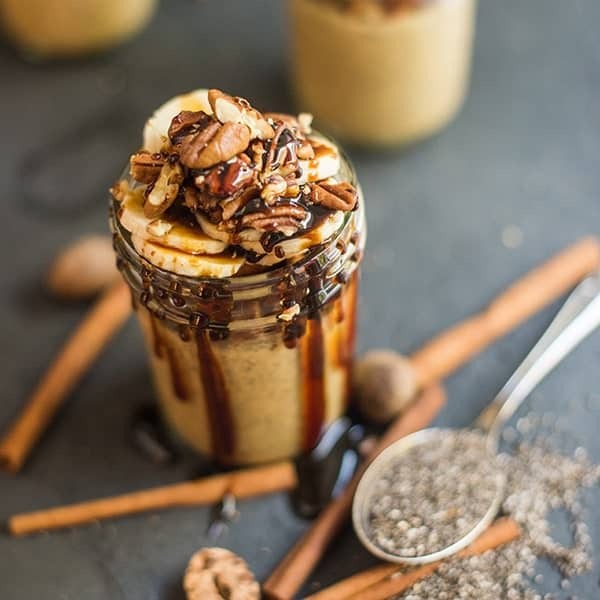 Serve in the morning with pecans, banana slices and additional molasses if you wish. Check out more healthy snack recipes on my Pinterest board! Yes!!! Gingerbread all the things! I can’t wait to try this. 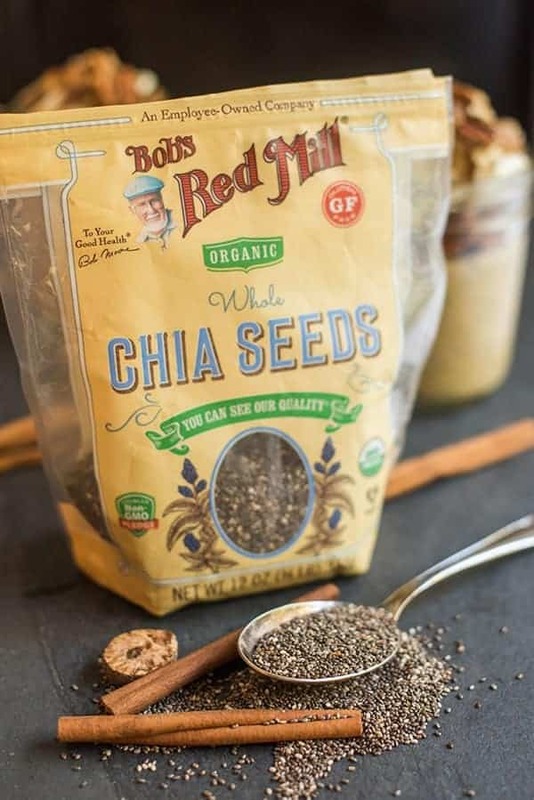 We happen to have some Chia seeds at home, so I am hoping to convince my fiance to try this! Love the flavors. Made this last night and am eating it now! It’s SO, SO good! Thanks for the delicious, easy and healthy recipe! I’m so happy you enjoyed it Beth!! Let me know if you try any of my other recipes! 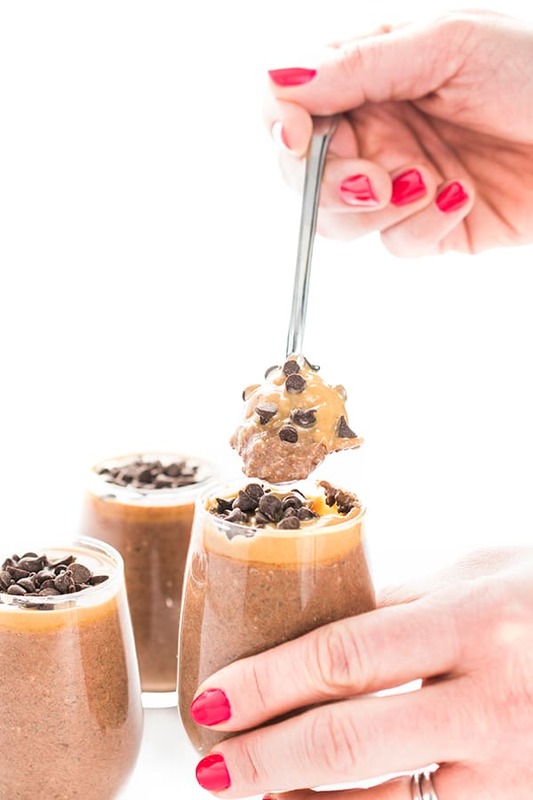 I love trying different chia seed puddings! My goodness, this looks yum and mouth watering! I want this for breakfast tomorrow! Ohhh yeah I need this!! Looks amazing! This is such a great idea!! 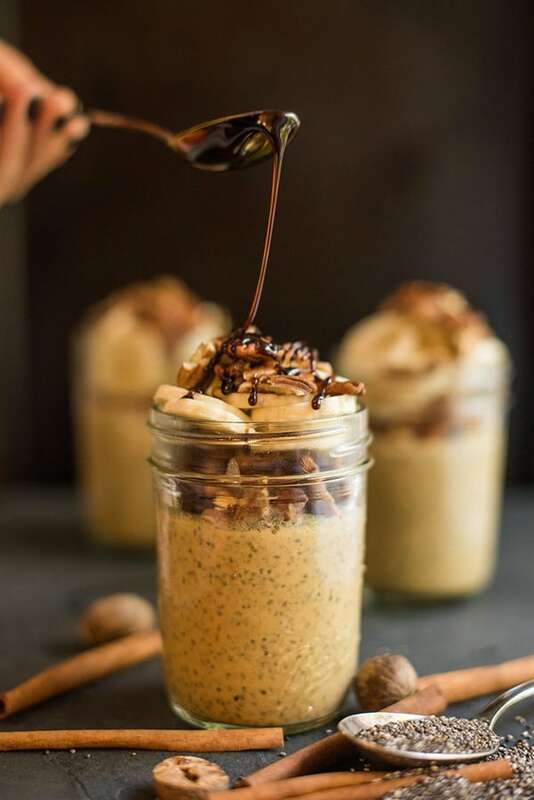 LOVE chia seed pudding! I could totally eat this for a breakfast treat over the holidays! Love how healthy it is. 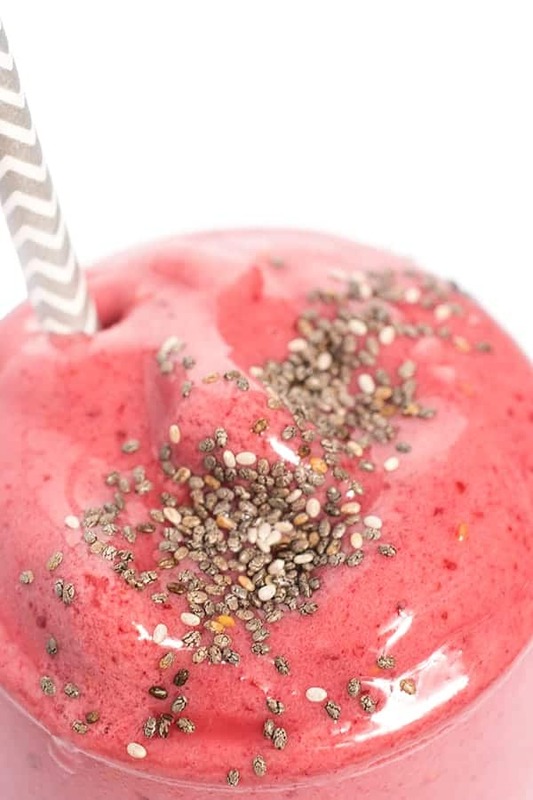 Chia seed pudding is the best. Those flavors look great for a holiday breakfast! I can’t tell if this is breakfast or dessert…and that is EXACTLY how I like it!